Helen M. Werner, 95, formerly of the Harbor Club died Wednesday, August 1, 2007 at Heritage Nursing and Rehabilitation Center in Port Washington. 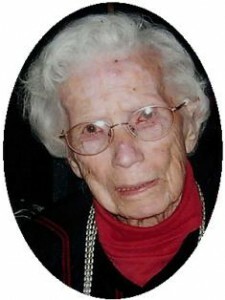 She was born September 8, 1911 in Port Washington to Herman and Elizabeth Becker Runkel. She married Max Werner in Milwaukee, Wisconsin on May 23, 1931. They lived in Port Washington and Grafton for many years. She had worked at the former American Can Company in Milwaukee. Helen was a designer for Welke’s House of Roses in Milwaukee, Rappolds in Cedarburg, the former Avenue Florist and former Weinrich’s Floral, both of Port Washington, amongst other florists. In 1972 they retired to Venice, Florida and she continued to garden and participated in garden clubs. Max preceded her in death on January 2, 1974. In 2000 Helen returned to Port Washington and moved into the Harbor Club. In October of 2004 she moved to Heritage Nursing and Rehabilitation center in Port Washington. Helen enjoyed flowers and gardening, especially raspberries and lilacs. She is survived by her daughter Pat (Will) Krainz of Port Washington, 9 grandchildren, 12 great grandchildren, nieces, nephews, other relatives and friends. She is preceded in death by her husband Max, son Barry and his wife Betty Werner, sisters Susan Krueger, Ann Budnick and Henrietta Hommerding and brothers Peter Runkel, John Runkel, Michael Runkel and Theodore Runkel. Mass of Christian Burial will be celebrated by Rev. Tom Lijewski at 6:30 pm, Monday, August 6, 2007 at St. Mary’s Church, Port Washington. Interment Parish Cemetery. VIsitation from 4 – 6 pm Monday at the funeral home. Memorials to Heartland Hospice appreciated.